A New Jersey bus aide has been charged with stealing bagged lunches and lunch money from preschoolers in January and February. 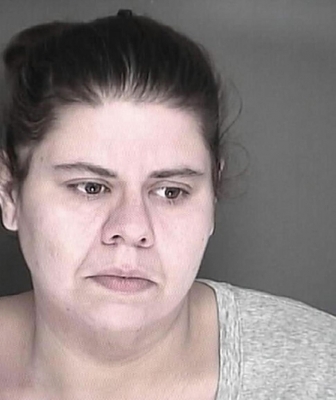 33-year-old Rosa Rios of Millville, NJ, was caught on surveillance video going through the backpacks of the 3-5 year-old students and taking lunches and money. She reportedly stole from 29 children. Authorities were reviewing the footage because the bus driver had reported $400 being stolen from her. Rios is being investigated for that theft. She was arrested on Friday and charged with robbery and theft. She is being held on $70,000 bail at the Cumberland County jail. Rios had worked for the Sheppard Bus Company for seven years. She has been fired. Montgomery County officials announced the arrests of 32 individuals involved in an extensive drug ring in the Philadelphia region with ties back to South America. Montgomery County District Attorney Risa Vetri Ferman said the investigation, dubbed “Operation Snow and Ice Removal,” began a year ago when they learned about a Columbian drug trafficker with connections in our area. A phone call to the DA's office from a citizen concerned about her loved one's drug use lead to the initial leads on the drug dealers. Officials set up wiretaps on one Norristown resident and recorded his conversations with the Columbian drug trafficker. The ring started to unravel from there. Authorities have seized $70,000 in crystal meth, $38,000 in cocaine, eight firearms, five cars and nearly $45,000 in cash and bank accounts. Philadelphia Police are looking for the public's help in identifying a group of four teenagers who attacked and robbed a 13-year-old boy in the city's Fairmount section last Friday. The incident happened at 3:45 p.m. on February 20th on the 700 block of North 22nd Street. The boy was walking north when he was approached from behind by the group of boys. One of the suspects put his arm around the boy's neck and wrestled him to the ground. Another suspect took the victim's iPhone. They all fled the scene. They are described as black males, 14-16 years old, wearing hooded sweatshirts and hooded jackets. Three of the suspect had backpacks. The victim suffered minor cuts to his lips and hand. The suspects were captured on surveillance video. If you have any information call 215-686-TIPS.